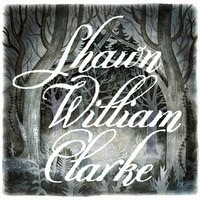 Toronto's Shawn Clarke is a rare commodity, he's a folk singer who actually puts out interesting and often fun material. In fact, his debut album Like Birds Too Tired To Fly was so good that I believed (and still do) that it was a travesty that he didn't get any Polaris consideration. Finally, on September 23rd, Clarke will release his follow-up album William. Though he is an accomplished musician (having played with Olenka & the Autumn Lovers and Timber Timbre) the real strength of Clarke's songs is in his skill as a lyricist. He tends to eschew the overly flowery poetics in favour of telling stories that are firmly grounded in the Toronto cityscape. That helps to make his songs far easier to relate to and consume than almost anyone else in his genre. Precious few songwriters would be able to name drop The Zombies, The Cars, The Clash, and The Kinks into a folk refrain as Clarke manages to do on "Forest City". Toronto-specific reference abound, including in the title of the instrumental "Bellwoods Park". In terms of the arrangements, Clarke adds interesting elements by ensuring that there are enough pieces beyond a simple acoustic guitar. Horns and prevalent on songs like "I Blame the Loyalist Ghost" (which also features the warm sound of fingers scraping guitar strings). We even get an accordion providing a polka oompah on "Tranzac Club". Clarke makes folk music as urgent-sounding as it has ever been in the Josh Ritter-like "In Conversation". With "Some Nerve" he offers up a full-on old country ballad. That accordion makes another appearance for the waltzing closer "Love, Death and Other Ailments". With William, Shawn Clarke avoids the sophomore slump and, even more importantly, already has us begging for more. Best tracks: "In Conversation", "Tranzac Club"